“This first cash-settled trade, combined with the recent increase in our non-deliverable forward clearing volume in late 2018, allows us to work with our clients, clearing members and liquidity providers to help customers mitigate their risks through cleared solutions,” said Sean Tully, global head of financial and over the counter (OTC) products at CME Group. Citi’s global head of OTC clearing and FX prime brokerage, Christopher Perkins, described the clearing activity with Eaton Vance and CME Group as an industry milestone. 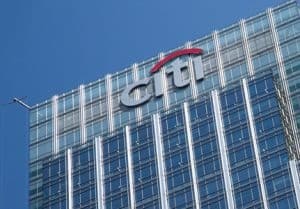 “With uncleared margin rules impacting buy-side clients over the next two years, Citi is excited to leverage our leadership in the FX prime brokerage and clearing space to help clients execute and clear their NDFs (non-deliverable forwards) and CSFs (cash-settled forwards) at CME,” he said. Industry readiness ahead of the final two waves of initial margin requirements for bilaterally traded, uncleared OTC derivatives is well underway, according to BNY Mellon, which said its clients are acting to comply far sooner than in previous years. Financial institutions with an average aggregate notional amount in excess of €1.5 trillion must post initial margin, although this threshold will drop to €750 billion in September 2019, and once again to just €8 billion in September 2020. The post Citi and Eaton Vance clear first FX cash-settled forwards with CME Group appeared first on The TRADE.